Description Looking to treat the family to a day on the town this Turkey Day? Then it’s time to eat, drink and be thankful at STK Atlanta, because if spoiling the family with an unforgettable dinner is on the agenda this Thanksgiving, November 22nd, STK is going above and beyond. Located in the heart of Midtown, the modern steakhouse is offering it’s full menu and special holiday offerings created by Executive Chef Thomas Mikesell including Lobster Butternut Squash —Spiced Pumpkin Seeds, Maine Lobster; Herb Roasted Turkey Breast with Confit Turkey Legs — Chestnut Stuffing; Orange Cranberry Chutney; Sweet Potato Purée with hints of vanilla and maple; Creamy Yukon Mashed Potatoes; French green beans; and just for the occasion, guests can savor the sweetness of the season with a Spiced Pumpkin Cheesecake served with Gingersnap Crumble and Cranberry Compote. STK Atlanta will be open from 12 p.m. to 9 p.m. on Thanksgiving Day. For more information, visit www.stkhouse.com or call 404-793-0144. 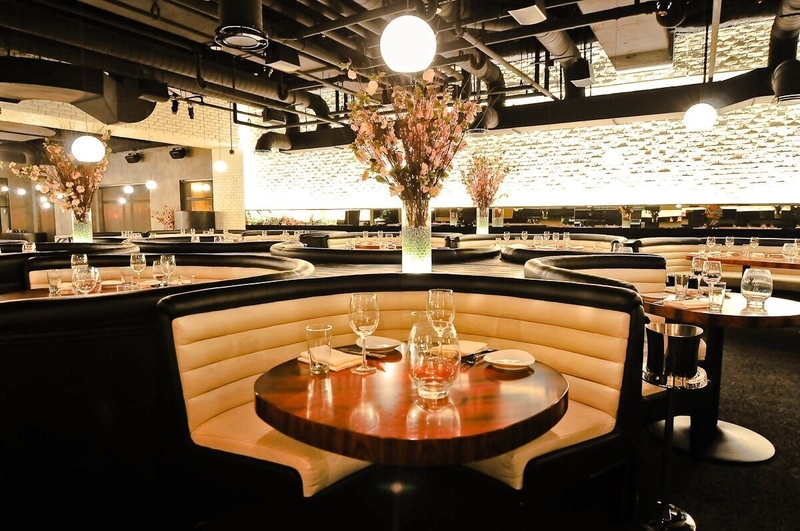 STK Atlanta is located at 1075 Peachtree Street in Midtown Atlanta on the corner of Peachtree and 12th Streets in the 12th & Midtown development. Stay connected on Twitter? and Instagram at @eatstk ?#stkatlanta. Eat, Drink and Be Thankful at STK Atlanta this Thanksgiving to your free online travel itinerary.